Nice views of the DeltaPort container shipping, cranes and lots of railway / train tracks and cars, pleasing shapes, lots of great blue herons. There are a few nice spots to stop on the causeway where there are places to pull out. This particular spot thought is on the mainland, on an overpass over the access road. 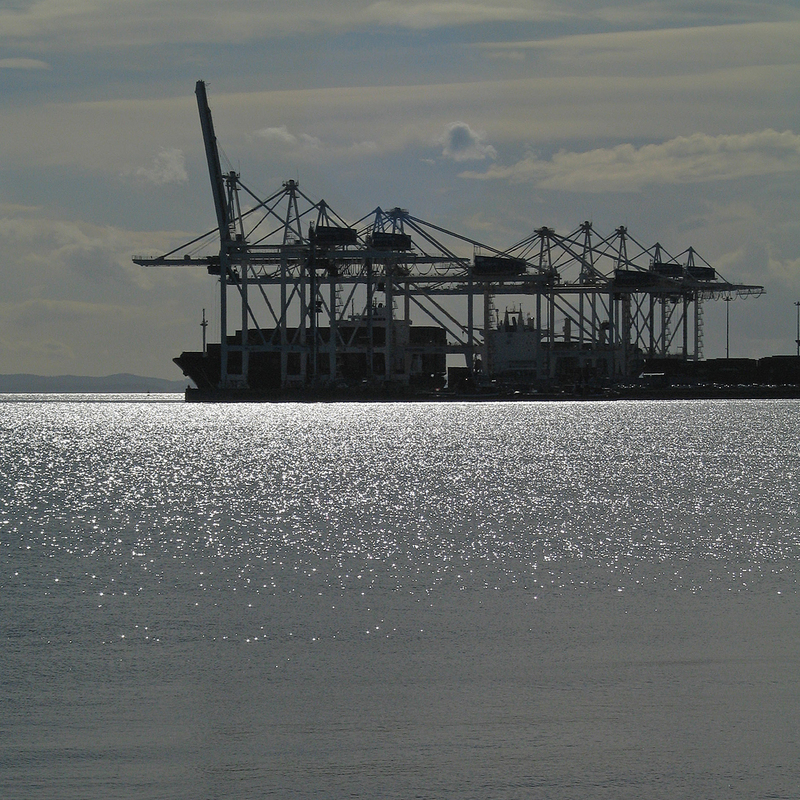 From Vancouver, follow signs to the DeltaPort. Easy drive, paved roads, lots of parking. Park under the bridge and walk up.